I started the Book Review Blog Carnival back in September of 2008. It has appeared at one blog or another every two weeks without a hitch. I wish the rest of my life was so consistent. The 46th edition has just been published at Nishita’s Rants and Raves. Nishita lives somewhere in India. I just read her post about visiting Coorg, a place I had never heard of before. It has some beautiful photos. Go and visit the carnival but don’t neglect the rest of Nishita’s blog. The Book Review Blog Carnival is always looking for new contributors. If you write book reviews on your blog, join us by submitting a review on this form at Blogcarnival.com. You could even host and edition. 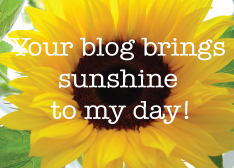 Email me at the address in the sidebar of this blog if you would like to host. Welcome to the newly revived Carnival of Maryland, a compilation of blog posts by Marylanders and/or about Maryland. Between February of 2007 and April of 2009 the Carnival appeared 56 times on various blogs, all having to do with the state of Maryland. This is the 57th edition. If you would like to participate in future editions, you may submit tour Maryland related posts through our submission page at . If you would like to host an edition, please email me at the address in this blog’s sidebar. There are lots of things to see and do in Maryland and Maryland bloggers want you to know about them. Clark’s Picks shows a video of a performance of the Santa Cruz River Band at Rock Hall’s The Mainstay. Angie likes to go to a bar in Baltimore called Howl at the Moon where people drink too much, out of buckets and using straws, and tip the piano players too much to play requests. Some of those good things only happen in the summer. Lynn Brtlet’s Ocean City Maryland Blog has a calender of Ocean City events for SUMMER!. Inside Charm City announces Soft Shell Crab Week! Breaking News: according to Oriole Post, the Orioles aren’t doing so well. What good would blogging be without politics to argue about? Joyce Dowling of Creating a Jubilee County: Prince George’s Co., MD, took some notes on an immigration question at candidate forum in Prince George’s on same day as Obama visited Silver Spring. Pus Polling in Montgomery County is the subject at Maryland Politics Watch. Maryland Conservatarian is not impressed that E.J. Dionne is impressed with Elena Kagan. The Natural Capital Wanats to know what you hope will come out of President Obama’s Great Outdoors Initiative. Raynard Jackson, or P. Kenneth Burns or somebody on Maryland Politics Today is against amnesty for illegal aliens, but isn’t nasty. Leviathan Montgomery doubts that the benefits of Real ID will outweigh the costs. s right to call Republican opposition to Obama administration policies almost seditious. Did you ever wake up with oil spills on your mind? Monoblogue wants everyone to know that the oil industry isn’t particularly happy with President Obama’s moritorium on offshore oil drilling. Kevin Dayhoff – Soundtrack quotes a breaking story on the Washington Post, that Topkill has failed. Sometimes you gotta blog about blogging. C. Dowd Art, Illustratiion & Design encourages artists to use Facebook or it’s equivalent , despite what Dowd calls Facebook’s privacy “cluster”. This concludes the 57th Carnival of Maryland. Te next edition will appear at I’ll Never Forget The Day I Read A Book! on June 13th. See you there. The first edition of the newly revived Carnival of Maryland will be posted on this blog on May 30, 2010. Anyone may participate, however I will need to be convinced that your post is about Maryland in some way. 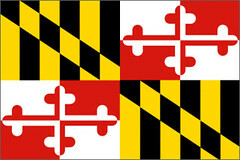 Please submit you Maryland related posts at http://blogcarnival.com/bc/submit_1134.html right away! I am pleased, once again to host the Carnival of Maryland, brought to you by the Maryland Blogger Alliance. Every other Sunday some blog somewhere hosts this carnival, which brings you fascinating stories from the Free State. If you live in, used to live in, or have a second cousin you visited once in Maryland and you write about in on your blog, you may want to apply for membership in the alliance. You can do so through the Maryland Blogger Alliance link. Maryland related posts, even by non members can be submitted for the next carnival through this link http://blogcarnival.com/bc/cprof_1134.html. We have fourteen posts in this edition of the Carnival and they look like this. ShoreThings brings us a collection of aerial photos of the Chesapeake Bay, taken by photographer Cameron Davidson. Just like the picture above. I have stretched ShoreThings‘s permission to use this photo all out of shape by using it again here under the “it’s easier to beg forgiveness than ask for permission” theory. Forgive me? The Ridger took some pictures and posted them on The Greenbelt, they are Gulls on Ice and A New Day. Creating a Jubilee County: Prince George’s Co., MD went to a small, local inauguration ball right in Prince George’s County. It wasn’t crowded, cold or hellishly inconvenient. Monoblogue points out that a proposal to fund the State Children’s Health Insurance Program by raising the Federal tax on cigarettes may not work because it might encourage people to quit smoking. Let’s hope he’s right. ,Monoblogue talks about George Bush and Circuit City and about austerity as a policy for getting us out of our fiscal crisis. Hey, it worked for Herbert Hoover. Blueprint for Financial Prosperity wants you to know that you may be eligible for and how to apply for the Maryland Homestead Tax Credit. If you live in Maryland this could save you big bucks! Boomer Twilight recalls playing pranks on his boss at his first job, working at a fast food restaurant in 1966, in Who Left The Red barn Door Open. Soccer Dad took some pictures of a lamp post in an unusual position. Perhaps someone was frustrated looking for his car keys under it. C Dowd.com launches a new online comic strip. Mr. President. Work on those ears, guy. For the last Carnival of Maryland, at The Greenbelt, Clark’s Picks (that’s me) brought you “the best unknown guitarist in the world,” Roy Buchanan, from Washington DC. This time, for the sake of fairness and equal time, here is Danny Gatton, the other, and better known, “worlds greatest unknown guitarist,” with a rockabilly showpiece from Austin City Limits. He lived in southern Maryland. In The History Cellar we find some Examples of Maryland Runaway Slave Advertisements. The Greenbelt has posted a poem for us by Edgar Allen Poe, to celebrate Poe’s 200th birthday on January 19th. The Political Octagon “ excoriates Martin O’Malley for bragging about preparing for the effects of global warming and taking steps to lessen it’s effects, then suggests that the only thing to do is run for our lives, possibly to West Virginia. The sixth edition of the Book Review Blog Carnival is posted at Imaginary Lands. Don’t miss it! There are 40 reviews in this edition. Like Rocky movies, the Book Review Blog Carnivals keep coming. The fifth edition was published Sunday on my own blog I’ll Never Forget The Day I Read A Book!